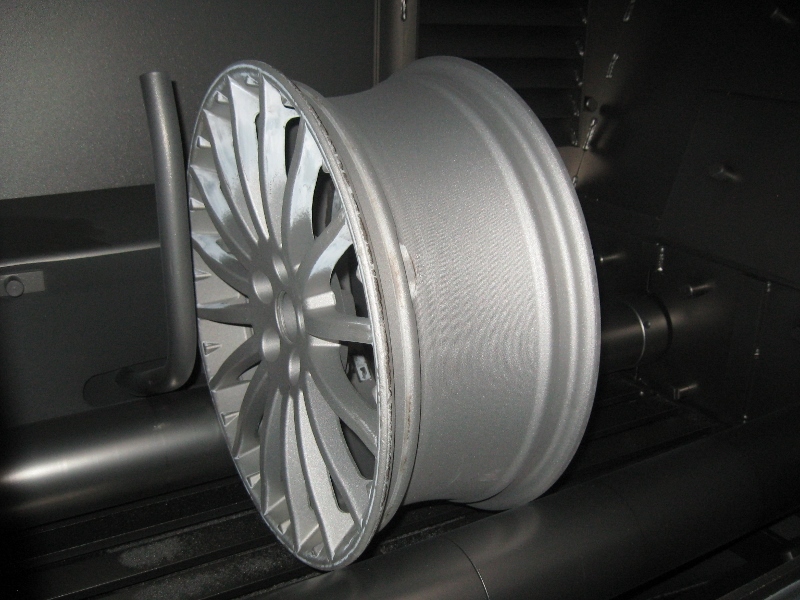 Machine for blasting wheel rims is a special machine, which was developed in cooperation with our customer. 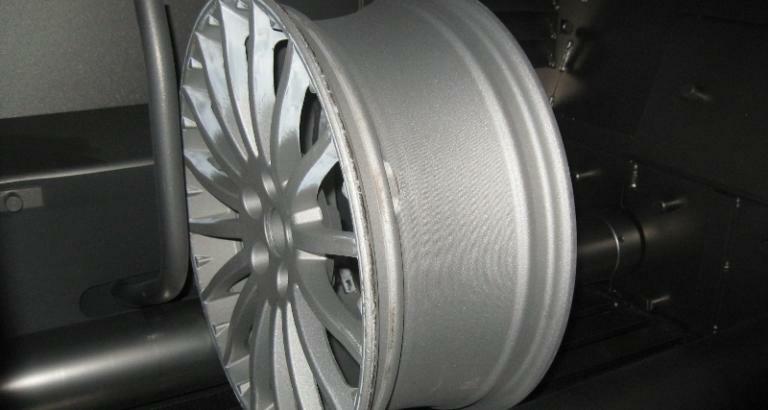 The frequency of blasting does not affect to the strength of wheel rims, so every wheel rim can be blasted more times. 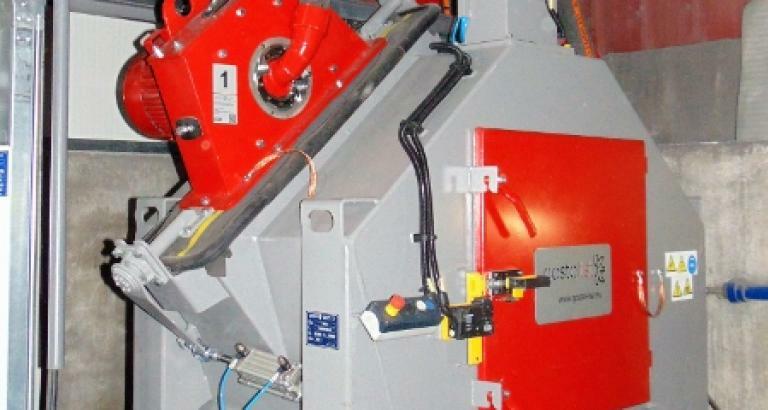 This type of shot blasting machine provides excellent results, as it removes rust, paint and minor defects. The surface is prepared for further treatment, such as colouring. Wheel rims are loaded on the rollers in the shot blasting mahcine. 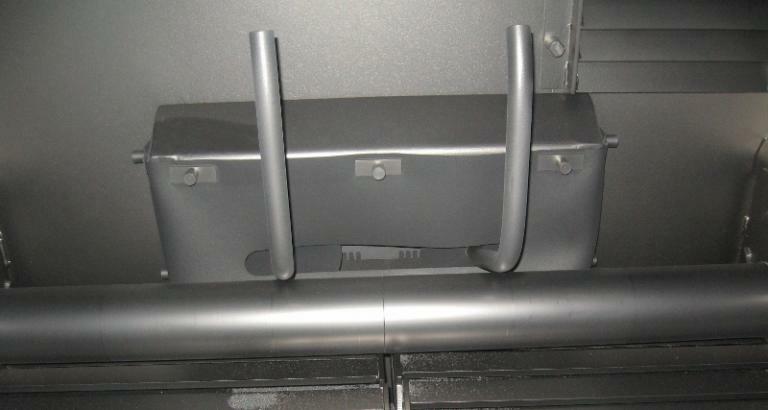 Rollers turn during the shotblasting process, which enables uniform blasted surface. Machine for blasting wheel rims has two blasting wheels ir-320, which are set at different angles. One of the wheels move, which ensure efficient blasting.